The process takes on elements of various print methods, including but not limited to Etching and Monoprinting, and incorporates elements of painting and drawing. 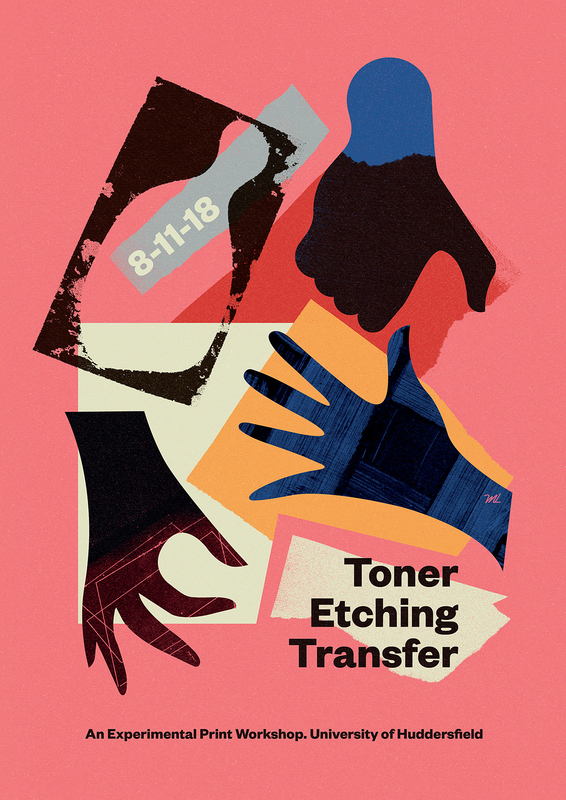 Toner is used as the base medium for experimentation and the transfer (or print) becomes the final image. Although individually the elements within the process are not new, the process as a whole and the outcome could be seen to be a new way of image making.